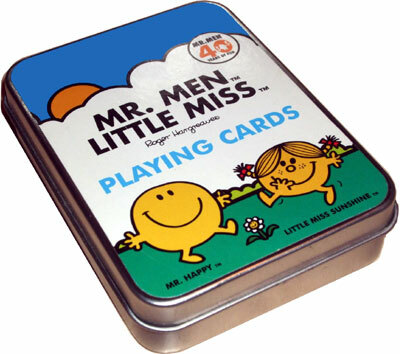 In 2011 Marks and Spencer released a commemorative deck of cards celebrating 40 years of the ‘Mr Men and Little Miss’ characters by Roger Hargreaves. The cards, made in China, come in a tin and feature different characters on the aces, courts and jokers. Pip Cards were left plain (though funky). 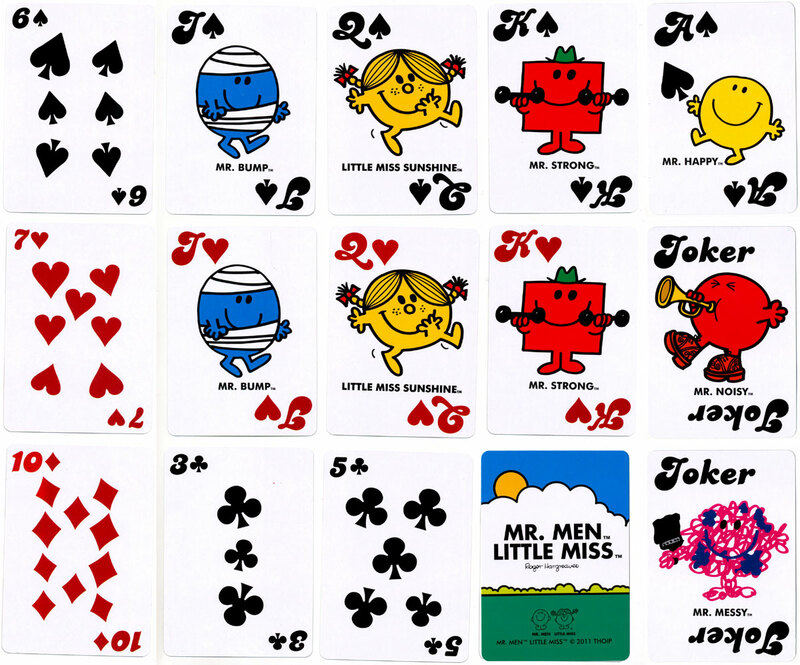 Above: Mr. Men™ and Little Miss™ playing cards published by Marks & Spencer, 2011. Images courtesy Matt Probert.